I was reviewing a very old medical book dated 1910 –1920, which covered the state of the art treatments for home care and identifying the infectious diseases of the times. It is scary, but it does offer some prudent suggestions we need to consider today. We take what we see for granted-that it has always been and always will be if you were born after 1940. The younger you are the more you remain ignorant of what was terrifying a few years before and within the living memory of your elders. Let us go back in time a bit and see if we can learn anything that may protect us from an uncertain future. “What uncertain future?” Let us consider the Government warnings about a terrorist attack with bio agents, as was recently tested with Anthrax. How about Bubonic Plague discovered emerging on the Syrian border and photographed, as I recall, by National Geographic ©. Other charming diseases we are no longer inoculated for, or your neighbor’s kids may not be inoculated for, may be Scarlet Fever and of course no one can even find small pox vaccine anymore. Public schools may require inoculations, but Home Schoolers? The list is long and scary. Can you identify Yellow Fever? How about Typhoid or Cholera? What would you do if there were no medical service available? How many millions of unidentified people are in your neighborhood from foreign countries that have been commonly exposed to these infectious diseases? These infectious diseases were common up until 1930 at the time sulfa drugs were introduced and when penicillin was developed in 1940’s that opened the door to the new age of anti-biotics and modern pharmacology that protects us from everything that was bad. Wrong! We do have a much better chance of survival health than 80-90 years ago thanks to our public health system, but new strains of virus and bacteria have emerged along with prions that are totally resistant to modern treatments. One of the current horrors of course is the flesh eating staph infections-MRSA- sometimes appearing after a hospital visit. Now I know you have read bits and pieces of this in the Enquirer© and other publications. The mind dismisses these issues, as it is inconsistent with your modern lifestyle. Remember in Great Granddad’s lifetime, this was not dismissed, but was a daily awareness. One of the most striking things in this old book was that the sick people were placed in a “sick room”; this was a bare room with a bed and a medicine table. No drapes, no fuzzy toys, no pets, no nothing, as all of what you are accustomed to today in soft comfort was known to harbor bacteria and some bacteria as in Scarlet Fever could remain on upholstered furniture for years that would re-infect anybody. They leaned the hard way. Rest, sunshine, fresh air and no stresses were the rule. You were sick and you slept. You did not have video games and movies to keep you stirred up. Even hospitals of that day, and they were really just starting hospitals in the modern sense, had bare rooms and wards. Room walls and floors at home were wiped down and scrubbed with disinfectant soaps and washes. Today the child is ill, trundled off to the physician who gives an antibiotic and he/she goes home to be indulged with TV games, and candy. You will also note that the child who malingers from school is actually encouraged to continue that game of “sicky”. For if the child is truly sick they stay in bed, if they are indulged, why go to school when Mom can take the day off and be part of the game of indulgence. In short they learn quickly that it is no fun to play the “sicky game” when they have to stay in a boring bed. Hence, they would rather go to school. Toughen up Mom. Since Y2K there has been a vast number of public “scares”, Bird Flu seemingly the most recent, and to good note most of the hype has been financial motivation on the part of big business. However there is a disinformation discussion going on at this time to discredit the positive aspect of these warnings which you and I need to stay abreast of; the real threats to our families. The case in point is that we live today in a small vacuum-sealed box of public health care centered around the “me” and not the “we” of neighborhood and responsibility. As over crowding continues, refugees harboring long forgotten strains of diseases intermingling in the general population and school systems may once again spread any number of infectious diseases. We have experienced in the past decade in England, subway attacks with Sarin toxic nerve gas. In Oregon a few years back there was another bunch of religious-politicals who introduced poisons to public foods. One never knows what will happen; it is always best to remain aware and not be dependent upon “Big Brother” to care for every little thing in life. The B2L family will have a much larger responsibility to self care since self sufficiency is not just stocking up on cases of beans and rice. Prior to the 1930’s home care medicines were what we call over the counter medicines today. They were terrible, centering on opiates, kerosene and turpentine. Some had harmless substances, others I am not sure of, but the treatments of lead and arsenic are certainly doubtful. Fortunately this old book did cover a large section of herbs as a separate and distinct treatment by the physician. 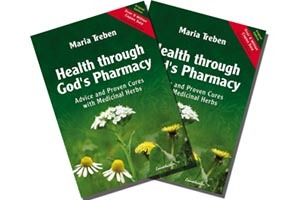 Homeopathic as well as the Allopathic traditions of the times were discussed; although some of the herbs I would not recommend for home use, as they are too dangerous, and today although mentioned in more modern herbals could cause certain health risks. It is my position if the herb is not edible, or has 1000 years or more of positive use I am reluctant to experiment on myself, why then would I promote it? Overall these old books were the state of the art-then- but today I consider them from a historic standpoint of what not to do even in the direst primitive environments. I would encourage-again- B2L thinkers to take Red Cross Standard and Advanced First Aid Courses, and if you have the time, take a Nurse course through a local college. Just the inquiry as to what texts are used would be a an advantage in personal home study since texts are constantly recycled at schools and may be had in a used condition for pennies, so to speak. Returning military enlisted medical personnel are very well trained, perhaps some may be encouraged to offer training to your group. 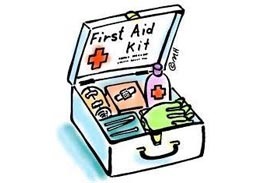 The First Aid package today includes very advanced trauma supplies, which require more knowledge to use than the Band Aid box usually sold. http://www.cheaperthandirt.com/default.aspx has some interesting offers. The lead in picture is the most famous historical nurse: Miss Florence Nightingale.